Your child's age is important when bringing a cat into your family, but that's not where it ends. Kids love animals, and most children are eager to bring a pet into the family. Cats are the most popular pets in the world and, because they require less maintenance than dogs, are the top choice for adoption for many families. But just because they don’t need regular walking and hands-on bathing doesn’t mean cats don’t require regular attention and care. Each family must consider their own unique circumstances, including the age of the children. However, these five points should be strongly considered before adopting a cat with your child. Cats are generally fine when left alone during the workday. However, if your family has a busy schedule, full of all sorts of extra-curricular activities, fish might be a better fit. Cats need regular attention, including playtime, grooming, and snuggles. There’s no exact age a child should be before bringing a pet into the home, but each family should think about the child’s overall demeanor and maturity level. A cat is not a toy and proper handling and respect is key to co-habitating with kitty. Your family’s financial situation should also be a point of contemplation. Raising children is expensive and cats require healthy food, regular veterinary care, and the occasional sweater or two. Can your family manage the costs associated with both kids and cats? Before bringing a cat into your home, you and your child should spend time with friends’ cats. 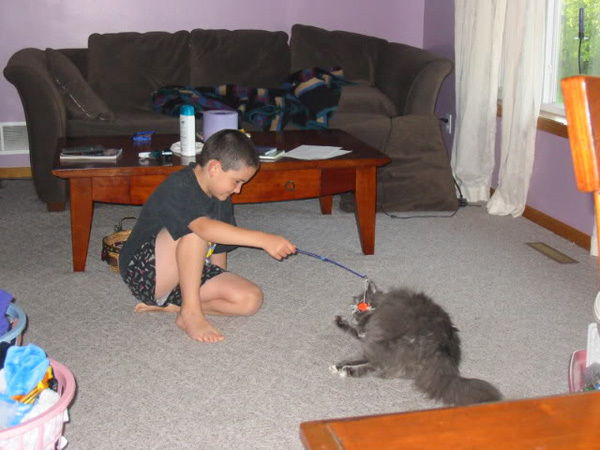 Demonstrate proper feline-handling and observe your child handling the kitty. Again, cats are not “things.” They are living beings who do not enjoy being roughly grabbed, chased, screamed at, or squeezed. Not all six-year-old kids have the same capacity for being gentle with small animals. 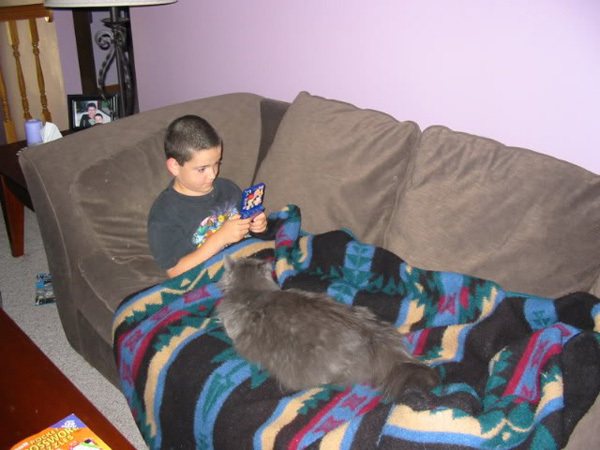 You will have a general idea of how your child will be with a cat if you invest some time hanging out with other cats. While spending time with friends’ cats, teach your child about reading feline body language. Cats pretty clearly communicate when they want to be left alone. And they’re not shy about telling us when they want affection. The ears and tail speak volumes! Catster has some great body-language-decoding visuals that are child-friendly and educational even for adults! The conversation about reading body language is one that should definitely be continued even after the cat is brought into the home. Will your child have any cat care-related responsibilities? Children as young as three or four can help with everyday cat care. The youngest kids can help scoop food, clean dishes, and fill water bowls. Older children can open canned food, scoop litter boxes, and help with grooming. Everyone in the family can play with kitty! 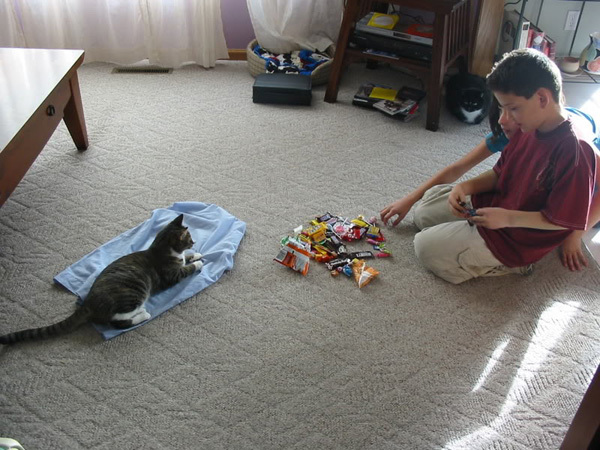 When my kids were younger, we had a chore chart that included the cat-care tasks. For very young children who can’t read, you can draw pictures of the job. I found this helped build responsibility and accountability. Plus, they could never ask me, “What am I supposed to do today?” I just referred them to the chore chart: “After school, you scoop the boxes, sweep the floor, and load the dishwasher.” I’m not saying the chart was followed to a T, but it was a place to start. 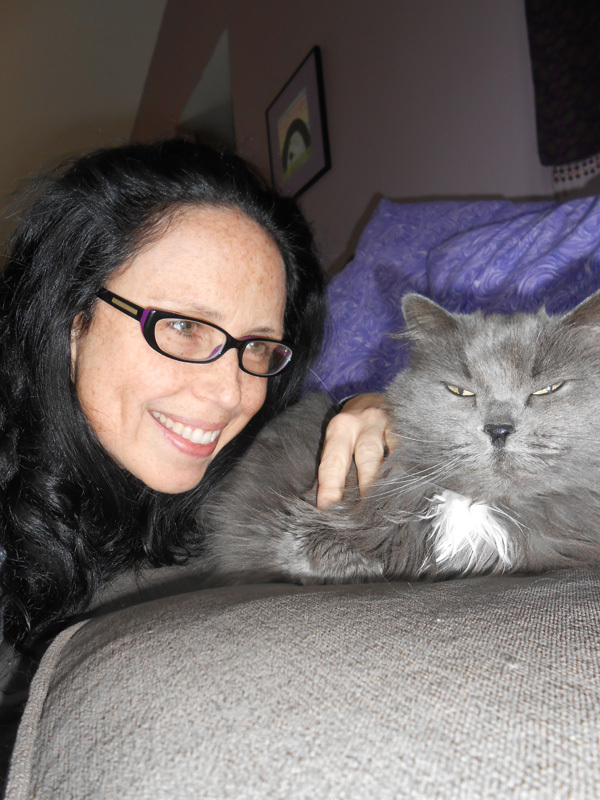 Helping take care of cats is an excellent way to help teach responsibility. You should definitely have that conversation before deciding to bring home a cat. Although I’m a huge believer in cats choosing people, I also think that when children are involved, it’s critical to think about the type of cat you should bring into the home. Tiny kittens might not be the best choice for home with very small children. In general, I’m a fan of adopting older cats who are often more difficult to place and whose personality is pretty settled. Also consider the activity level of the cat. A breed that bores easily and requires lots of attention should probably be placed with someone who is usually home. Pay attention to the cat’s personality, ask questions of the shelter or breeder, and make sure you and your child spend time with the cat before bringing her home. When you adopt a pet, you are making a serious commitment that isn’t to be taken lightly. Do you have any tips for bringing a cat into a family with children? Tell us about it in the comments!